Scientists use a ‘stepwise approach’ to enable forest rich countries lacking in data and capacity prepare for REDD+. Indonesia - BOGOR, Indonesia (22 November, 2012)_The governments of Indonesia and Germany have joined together to produce a set of guidelines and interactive software to help forest practitioners and local communities in southern Sumatra to measure the carbon stored in peatlands. The software allows users to enter up-to-date information on the amount of carbon stored and released from peat land ecosystems. The supplementary manual, Estimating Technique of Carbon Reserve in Peat Lands, is available online as well. “The idea was to create an open source system which would enable users to connect and share information,” said Solichin Maskuri, writer and lead researcher for the GIZ Forest and Climate Change programme (GIZ-FORCLIME). The software will be used to help the Indonesian Forest Management Unit (Kesatuan Pengelolaan Hutan) to process and analyse forests inventory data in order to support the design and implementation of a REDD+ pilot project in Merang, Sumatra. 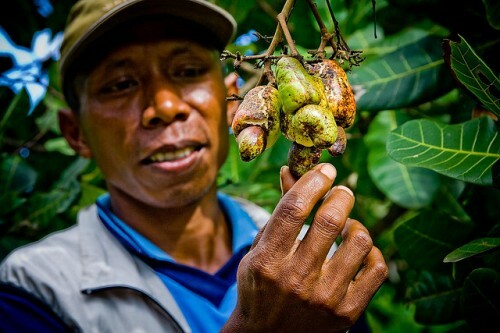 The project is one of approximately 44 currently underway to help Indonesia reduce carbon emissions from deforestation or forest degradation, known as REDD+. Measuring the amount of carbon emissions released from the clearing of peat lands for paper and palm oil production, will be critical to assess the schemes’ overall impact on the environment and atmosphere. The process of measuring the carbon stored in trees is one the “biggest technical challenges” facing forest rich countries, says Louis Verchot, CIFOR’s principal climate change scientist, as many countries lack up-to-date information on the past, current and future sate of their forests. By using these techniques, Solichin and his colleagues were able to accurately measure the carbon stored in the Merang project location. The data will eventually be used to help Indonesia set its reference emissions level (or REL); the baseline level from which it can measure the success of the Merang project, and other emissions reduction programmes in the region. Furthermore, the study took into account not only forested areas, but areas being used for pulp and paper plantations “so that wood growers would also be interested in getting involved in efforts to reducing emission in their production area,” he added. For forest rich countries looking to invest in REDD+, determining their REL is the first and most important step+, says Verchot. CIFOR and partners have also been working to develop a ‘stepwise approach’ to enable forest rich countries lacking in data and capacity, to develop methods to set their RELs, over time. “Besides its function in measuring the effectiveness of the REDD+ project implementation, REL also helos determine the level of compensation for the emission reduction activity, ensuring cost effectiveness,” he added.